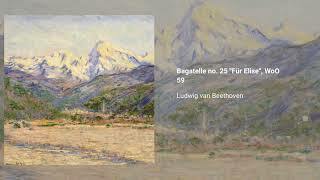 The Bagatelle no. 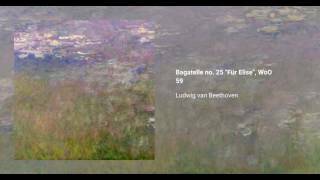 25 in A minor (WoO 59) for solo piano, commonly known as Für Elise, is one of Beethoven's most popular and enduring compositions. Referred to both as a bagatelle and an Albumblatt, the piece is actually answers to the ABACA structure, similar to an archetipical rondo. The first theme is not technically difficult and is often taught alone as it provides a good basic exercise for piano pedalling technique. However, much greater technique is required for the B section as well as the rapid rising A minor figure in the C section.